Ten years ago, mobile poker apps were in their nascent stages, lacking so many features that very few online poker players bothered to use them. The same cannot be said of today’s enhanced technological world, where the majority of us own and use a smartphone and/or tablet on a daily basis. With that in mind, we’ll take a look at what I’ve found to be the top 3 mobile poker apps in the UK (and beyond). Did you really expect any other name to appear in the #1 spot for mobile poker apps? For nearly a decade, the PokerStars desktop client has been unanimously deemed superior to all of its rivals. The same can be said of PokerStars Mobile. 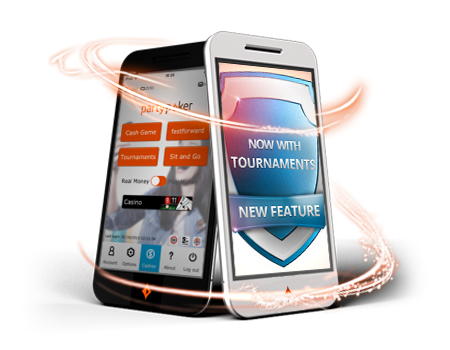 Most mobile poker apps come with excellent graphics, but reduced game variety, limited features and poor customization. 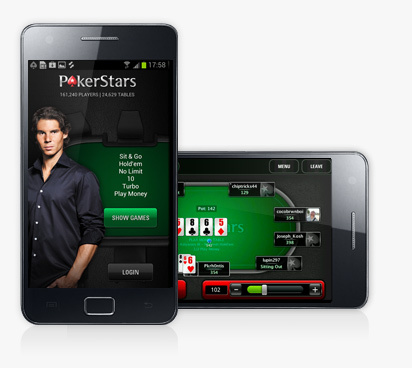 PokerStars Mobile, available for Android and iOS devices, comes with everything. The HD graphic quality is excellent, and the game variety is unsurpassed. From the lobby, players can view a full roster of cash game and Zoom Poker tables, as well as SNG and MTT tournaments. And because PokerStars has the largest collection of poker game variants in the online poker industry, players have access to everything from NL Holdem and PLO, to Razz, Mixed Games and Courchevel at their fingertips – anytime, anywhere. The icing on the cake is the ability to multi-table from your iPad. The PokerStars mobile poker app gives players the option to play up to 5 tables at once, with simple one-touch table selection. I’m a huge fan of PartyPoker Mobile since the latest update in early 2015, but it does have its drawbacks. On the plus side, players can participate in cash game and FastForward tables, as well as SNG and MTT tournaments on their Android or iOS devices. All poker variants are available, and there’s even a stand-alone FastForward app that is the fastest in the mobile poker industry, allowing players to act by simply swiping the screen. On the negative end of the spectrum, not all tournaments are available in the mobile poker app, and multi-tabling is not allowed. There’s also a restriction on bet sizing that limits players to betting in increments of the small/big blinds only. 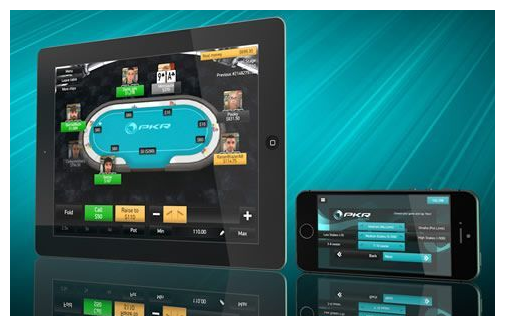 PKR Mobile is easily the most aesthetic of all mobile poker apps. The 3D version looks incredible and runs smooth on Android and iOS devices. In fact, it’s almost an exact mirror of the PKR desktop client, which is great for anyone who has already fallen in love with the VR format. Cash games, SNG’s and MTTs are all available. However, the game variety is limited to any and all Texas Holdem poker games/tournaments only. All other poker variants are omitted from PKR Mobile. You’ll also want to stay close to a charging station, because the 3D version seems to drain your battery much faster than any other mobile poker apps on the market. But you can always switch to the less appealing 2D version to conserve battery life.